Being vegetable growers for home use in all seasons, we are well aware of the hardship of growing veggies. It requires repeated work,attention, handling insect attack at times, daily watering and so on. However, there are quite a few natural edible stuff which occur seasonally as per the schedule set by sun, rain, moisture levels and other countless determining factors. In contrast to home grown vegetables, these don’t require any attention to grow and some effort to harvest. Rest of the process - the cooking part - is common to both. 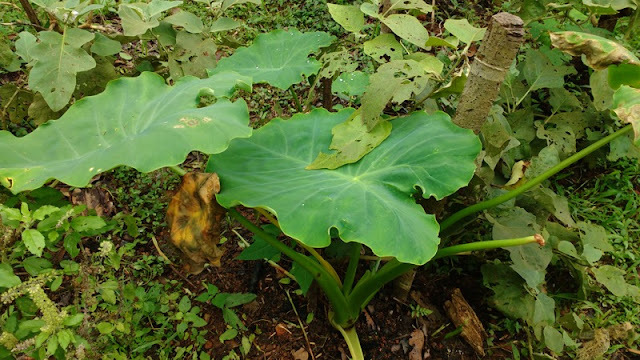 Taro is one such plant which is found both naturally and cultivated at times.